Ten bestselling historical fiction authors have come together to give you a glimpse of the invisible side of WWII – the Resistance. Royalties from this book will be donated United States Holocaust Memorial Museum in Washington DC. I am proud to announce that I am one of ten authors chosen to participate in the soon to be released anthology, Tales of Resistance: WWII The Darkest Hour, and as part of this exciting venture, over the next few weeks, I will be hosting the authors on my blog. Inspired by the brave actions of men, women, and adolescents who fought against the occupying Axis powers around the world, these riveting stories will make you hold your breath and hope for the best in the darkest of times, when everything is at stake and where the price of freedom is a fighter’s life and more. Most of you who know me, know that I have have a special interest in modern Greek history, and an important part of The Embroiderer is set in Athens under the German Occupation 1941-44. My protagonist and members of her family become involved in the Resistance. It is a theme I will return to in the near future. 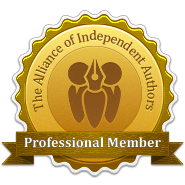 So imagine what a pleasant surprise it was for me to discover that fellow anthology participant, Mary D. Brooks, also shares that same interest. Mary is an accomplished author on WWII Greece with many books to her name. She is also the web designer of our anthology site. Without more ado, let me introduce you to her. Welcome to A LITERARY WORLD: WWII The Darkest Hour, Mary It’s a pleasure to have you with us. I’m an Australian lass of Greek stock. I was born in Greece and moved to Australia when I was four years old with my parents. I’m a graphic artist, web designer and writer. I’ve had an interest in history since I was a child and it’s fired my imagination since then. I started writing when I was eight years old and haven’t stopped since. I’m a voracious reader of historical fiction (WW2), murder mysteries and political thrillers (it’s an eclectic mix). I love history, research and anything that fires up the grey matter. As a writer, I had my first book In the Blood of the Greeks published in 2001. 2. What is it that inspires you to write about WWII? That is a complex question and answer. When I was ten years old we moved into our own home. Next door was a woman who befriended us. She would look after my sister and me when we came home from school before my mum or dad got home from work. When I first met her she intrigued me because she was this larger-than-life character; tall woman with a booming laugh. I didn’t know it at the time, but this woman would be one of the biggest influences in my life other than parents. She gave me my addiction to sweets and also opened my eyes to the holocaust. I noticed she had numbers tattooed on her arm and I asked her what they were. She told me she would tell me once when I was older. She was a bookworm like me and I had so much to tell her about the books I was reading. She quickly became our adopted grandmother. When I was nearly 14 years old she said it was time I found out about the numbers on her arm. She gave me a book called I Am Rosemarie by Marietta D. Moskin. It was the story of a 16 year old in a concentration camp and surviving the holocaust. She told me to read it and then we would talk. There’s a passage in that book that brought home to me the tragedy and abomination / horror of the holocaust (I hadn’t even realized that 6 million Jews had died by that stage). It was what peace meant to this teenager and how it was symbolized. She said that to many peace was symbolized by a dove with an olive branch but to her peace was symbolized by the sight of an Army soldier coming through the gates of the concentration camp – that was the symbol of peace for her. I have read many books over the years but no book has ever hit me in the gut as this book had; I was reading this completely naïve to the horrors of the holocaust, safe in Sydney, Australia in 1978 completely oblivious to what transpired during World War 2. That passage was imprinted in my brain. It was then my grandmother told me about Auschwitz. We did lots of talking and I had so many questions. She gave me other books to read and there’s where I vowed to learn as much as I can and eventually write about it. We never discussed her time at Auschwitz; she didn’t want to tell me and I had the good sense (for once) not to ask the questions. We talked about the holocaust and how her family were murdered by the Nazis at Auschwitz; what life was like for the Jews. We had these really long chats about books I had read; the stories I read imprinted themselves in my heart. I detest unfairness and it lit a fire of indignation that my grandmother tried to channel into getting me to focus on what truly mattered. What mattered was the need to shine a light on the holocaust and to never let it pass into the history books to be forgotten. She stressed the need for me to read; to learn and to pass on what I’m learning to others. Around the same time my parents decided to take us back to Greece for an extended holiday. While there I met my grandfather and we bonded instantly. He had a love of history and would talk about the history of the city (Larissa is 5000 years old) and I was in heaven. For me this was as close to heaven as I could get without dying. It was then I told him about Evelyn (my adopted grandmother) and what she had told me. My grandfather told me about the large Jewish community that was in Larissa and what the Germans did to them. He revealed the next part which would have a huge impact on my writing life. He told me about the Greek Resistance and how he had been a part of it. He told me stories of the Italians and then the Germans; the Jews and the Allies being hidden and given false ID papers. Told me about the incredible hardships and the atrocities committed by both the Italians and the Germans on the Greeks. It fired my imagination. When I got home from my Greek vacation, I couldn’t wait to tell my grandmother all that I had learned. You couldn’t shut me up and she was thrilled that she and my grandfather had lit that fire in me. I told her that one day I was going to write about the holocaust in Greece, the Greek Resistance and will shine a light in a part of the Jewish history of Greece. She smiled, put her arms around me and was quite emotional about it. She told me to shine a light into the darkness. Her work was complete. She took a clueless ten year old child and opened my eyes to the horrendous history but also to the bravery of men and women who resisted, who survived and who helped others to escape. Unfortunately, one year later, when I was 15 years old, Evelyn passed away. She suffered greatly from her time in Auschwitz, but she never complained. I had known she was not in good health but didn’t think she would pass away so suddenly. She was an amazing human being. She gave me a priceless gift. She had passed away before she could see me present my end of year history video presentation on the Holocaust and the Concentration Camps in high school. I think she would have approved of that presentation. Only when we shine a light into the darkness do we find courageous people who worked in the shadows to help their neighbours or those that survived the darkest days of a most horrendous time in human history. I wanted to shine a light on those people. After my grandfather passed away in 1999, I decided to start writing my first novel In The Blood of the Greeks which tells the story of a Greek teenager and a German woman working together to help Jews and Allied soldiers escape Greece. Some of the stories which my grandfather told me were in that book. While I was doing research for my book, I found stories of extraordinary people who had undergone horrendous treatment / torture because they were lesbians or gay. I decided to merge those three elements into my first novel. As Evelyn said to me ‘shine a light into that dark world’. I was thirty-six when that book was published in 2001. It’s my favourite book and will remain so because of the people who inspired me. Shining a light into the abyss will make sure it is never forgotten. On September 8, 2001 I had the opportunity to visit the United States Holocaust Museum in Washington DC (the same museum that the royalties for the book The Darkest Hour will be donated to). It’s a place you can never forget once you’ve been through it. At the time I was undergoing a personal crisis and felt quite sorry for myself. The Museum reminded me that my little crisis was nothing compared to what millions of people had endured and lost their lives. I had metaphorically slapped myself on the head and told myself to ‘toughen up princess’ because it was nothing compared to the holocaust. While I was at the museum, there was an open ended boxcar and you could enter it if you wanted. Now a sane person would look at it from every angle, wonder how eighty or so people could fit into a small car and be horrified. To a writer it is an invitation to step into the boxcar. I did that that and stood in the middle of it. I crossed my arms and closed my eyes. I had written a chapter in my first book about a priest who joined a boxcar full of Jewish men, women and children on their way to the slaughter. I realized I had it all wrong – not the description but the absolute fear. I freaked myself out and I couldn’t get out of the boxcar fast enough. I had decided that when I went back to where I was staying, I would rewrite that chapter (which I did). Whenever I travel to a new city, I search and find their holocaust museum. It’s something I vowed to do because it’s important to me and to the memory of my grandmother, her family and the millions who were murdered. In 2016 I created a companion book to In The Blood of the Greeks which was a more detailed look at the Jewish Holocaust in Greece and the history behind my fiction book. I contacted the Jewish Museum of Greece and asked them if I could use some images and content from their site. After they discovered what I was doing, they gave me permission to use whatever I wanted from their archive. I was pleased beyond measure when the Jewish Museum of Greece asked me to send them my fiction book and the non-fiction book to include in their collection of holocaust books after I had published the companion book. I think my grandmother would have loved that so much and I dedicated my books to her and to my grandfather. I had been given an all access pass to use their material (written and images). I grabbed that gift with both hands and dived into the wealth of information. 3. Where are your novels set? I chose Greece because it’s not normally a setting that most World War II resistance novels are set. It also gave me an opportunity to shine a light on the Greek Resistance and the Jewish Holocaust in Greece. Book 1 is set in Farsala and Larissa in Greece in 1941 to 1944. It’s the story of two women who come together, despite their mutual hatred for one another, and work to help Jews escape. I want to incorporate what my grandfather told me, the stories that I had read about real life resistance fighters and the Jews of Greece. The following books deal with the fall out of that book and follow them to Australia in post war Australia. That’s a series of 6 books but the novellas and the upcoming novella for the Anthology deals with the first year of occupation as told by my main character. 4. Without giving anything away, what is your anthology novella about? Zoe Lambros is a thirteen year old girl living in Farsala (about 30 minutes from the main city of Larissa) in Greece. Her father is helping the Allies (mainly Australian and New Zealand soldiers) and when the Germans attack (after the Greeks defeat the Italians) in April 1941, he tries to save the Australian soldiers get across German lines. It’s a story of a young girl’s awakening to the true horror of war and the first year of occupation. It’s about Zoe’s desire to join the resistance and be useful. Zoe is a spirited character (to say the least) and she first appeared in the book In The Blood of the Greeks – It’s her story a year out from the events of the first novel. Zoe can be described (and has been described) as a force of nature. Nothing stops this young girl; she never backs down, surrender is never an option and for her there is only freedom or death. You resist until you die or you are free. 5. What sort of research did the story require? I had my research which I did for my first book but I needed to go further back and get a feeling of life in Greece just before the Germans invaded. I consulted web sites (thank goodness for all those people who have archived material from World War II – it’s a gold mine), the Jewish Museum of Greece online archive, looked at maps, calculated dates, resistance activities around the time that my novella was set.. I bought books on the Australian and New Zealand armies helping the Greeks before the Germans got there. I needed it to be 100% accurate. I consulted some Jewish friends with questions I had that pertained to the novella (won’t say what because I’ll be spoiling it). 6. Are the characters based on real people? They are a blend of real people. They are based on events from that time and I inserted my characters into that time period. While I was doing research for my companion book, I did come across a woman named Sara Yeshua that could have easily been a real life version of Zoe Lambros. That fired up my imagination and I created a character for the novella (other than Zoe) who was inspired by Sara. 6. What is the most challenging aspect of writing about WWII? Finding the light in the darkness. My grandmother always said ‘shine a light into the darkness’ and that has been imprinted in my brain. I always strive to find light in the darkness because otherwise you will be consumed by the soul-destroying nature of the story. There is so much horror and sadness that you can easily get emotionally smacked in the head by it all. You need to remember you are shining a light into an abyss and you need to find the people who fought against all odds. That’s what I aim to do in everything I write. Find the light. Shine it on unsung heroes; there are real life people like Zoe Lambros who went through the horrors of WW2 and this is my way of bringing it out into the open. 7. How important do you think historical accuracy is when writing fiction? I think it’s the most important factor in historical fiction. I have never lived through that time period but there is so much material available in books and in people who were there. I’ve spoken to former Greek resistance members, I’ve spoken to my own parents who were children at the time. Got a good idea of the lay of the land, the people, the times, the cultural norms, the religious aspect of it. Everything needs to be 100% accurate. If I can’t find multiple sources for something, I leave it out – I have to be 100% accurate. Even if it’s an obscure line in a book. I dived into newspaper archives from Australia and elsewhere and read everything I can get my hands on. As a writer you can take liberties with historical figures but the events surrounding those figures have been accurate. 8. Do you think fiction helps us understand the past? Oh yes indeed. It’s how I connected with the trials of a 16 year old girl going through the holocaust in “I Am Rosemarie”. Unlike a history book which can be quite dry, fiction connects the reader to the time period. If you are really good at it, you immerse your reader into the time, the anxiety and danger of the period. You make them care for the character, you make them feel. That’s what I want to do in my work; get the reader to CARE about what is going on. I want to give my readers the same experience I had when reading “I Am Rosemarie” or “The Hiding Place” or the other books that moved me. Bring the reader into that world. 9. Can you tell us about your other WWII novels? Unnamed book about the Battle at Grevena, Greece. – that doesn’t have a title yet. It’s a turning point for the Greek Resistance and one I can’t wait to start writing. Zoe Lambros is involved in that too because she’s such a great character. Surviving the Peace which takes place after In The Blood of the Greeks. The war is over on the mainland but the Germans are still active on the Greek islands. Zoe and her companions need to escape Greece before it erupts into a brutal civil war. They find a way to leave the mainland but they have one last resistance mission in German occupied Crete before they can escape to Egypt and safety. The other novel is called Resistance in the Shadows which takes place in Paris, France. It’s the story of Eva Muller, my other character from In the Blood of the Greeks, and her guard and personal friend Henry Franz. Eva is the daughter of an SS Major and they are in France. This is the story of how Eva and Henry conspired to work with the French Resistance and the events that led to a momentous decision that would eventually take Eva and Henry to Greece. Other than continuing to write, my wish is to visit Auschwitz-Birkenau next year. My grandmother’s family were murdered there and I promised her before she passed away that one day I would go. I’m not quite sure how I will handle walking through that infamous gates but I guess I’m going to find out. Thank you for joining me today, Mary. Your in depth research into this period in Greece has certainly wet my appetite to read your books. We wish you continued success. Thanks for asking me! I think this interview has become a mini novella on it’s own!